I think the bitter cold of this winter may have officially gotten to my brain, because I actually agreed to jump into a frozen lake!! The Vikings had a team of plungers just before team SQLPlunge. For the past two years, my husband, and some of our friends have participated in the Polar Bear Plunge. What this means, is that they jumped into Lake Calhoun in Minneapolis in the middle of winter to help raise money for Special Olympics of Minnesota. It was dang cold the first year; last year’s temps weren’t too bad. Last year, I participated in the Plunge 5K that takes place the morning of the Polar Bear Plunge. I walked the 3.1 mile path around Lake Calhoun with Jenny Timmerman, another SQL Wife who I’ve become friends with over the past couple of years. Later in the day, we watched the rest of our team jump into that icy cold water, followed by a dip in the hot tub. We jokingly said we “might” do it (the jump) the next year, but I don’t think either of us thought we actually would. Guess what? This year, we are both signed up for the 5K AND the jump! 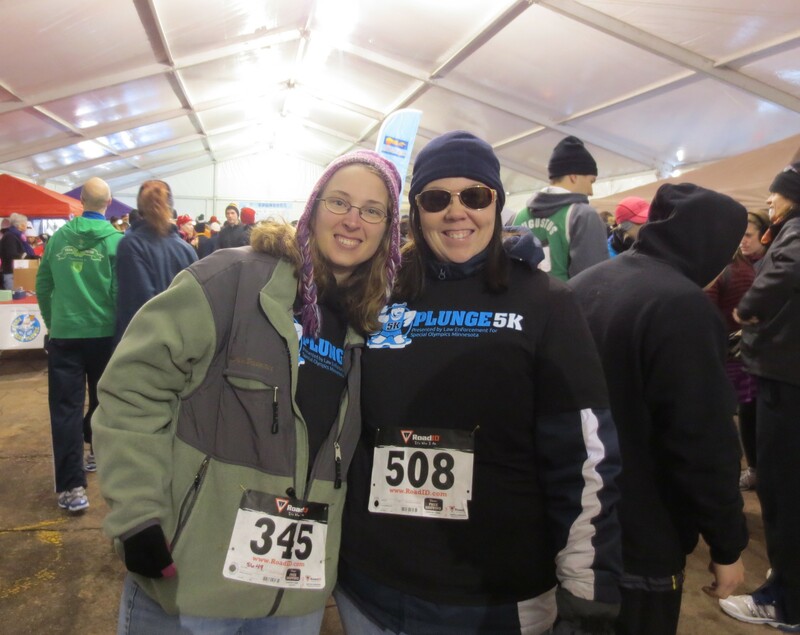 Jenny and I, before the Plunge 5K. I have a couple of reasons for agreeing to do it this year. First, I think I lost my mind. Second, my two kids, and one step-son wanted to jump in, so if they want to do it, I really should too, right? Third, I have a bit of a connection with the Special Olympics this year. Growing up, one of my best friends’ brother had cerebral pulsy. He was like a second brother to me. He participated in adaptive sports (floor hockey, if I recall) at the high school. I’m not sure he ever got involved with Special Olympics, but he should have! This year, I am helping two young women in a lyrical dance class at the studio my children dance at (Lake Area Dance). Both of these young ladies have special needs. Amanda has Down Syndrome, Lizzy has some cognitive disabilities. These two are a delight to work with. Each week, I learn about as much in working with them, as I hope to be helping them to learn. Lizzy is very involved with Special Olympics as an athlete. She is also one of the most positive people I know. She is always smiling, even when her sister is driving her crazy in dance class! I have heard so many wonderful things about the Special Olympic programs from her family, that I decided this was the year to jump in the lake. YIKES! 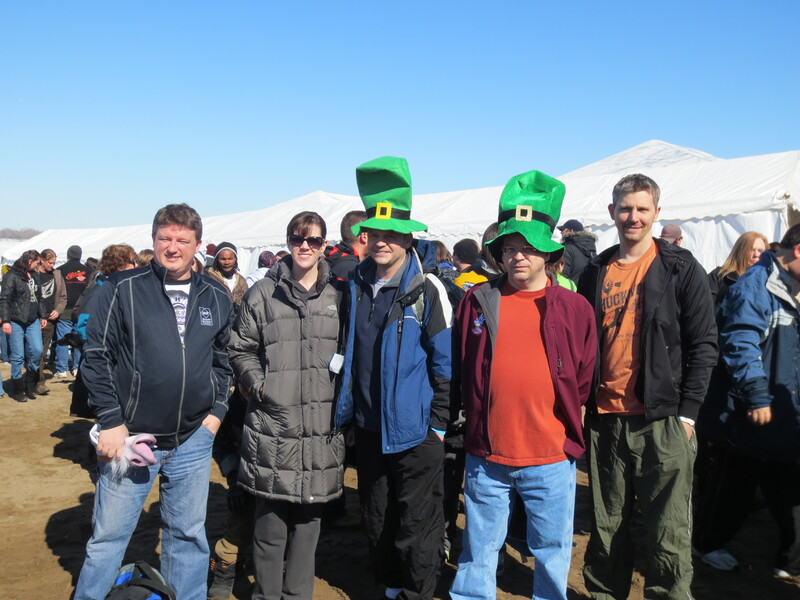 This was last year’s team SQLPlunge. We’d love to have it grow even bigger this year! The whole point of the event is to raise money for Special Olympics. Here’s where you can help. I have set a pretty high goal of what I’d like to raise for this event. My goal? $1,000!! I know that seems like such a large number, but I know that programs that help empower disabled youth is such a great cause. With your help, I can reach it! If you’d like, you could even sign up to jump with us!! If that sounds too cold, I don’t blame you (unless you’re Paul Timmerman) ;-). We’d love to have friends and family members cheering us on from the beach at Lake Calhoun on March 1st. As it gets closer to the date, if you plan to come out, you can talk to any of the team members to find out what time we are signed up to jump. It will likely be in the morning, as most of us are also walking/running the 5K beforehand. Hope to see you there!